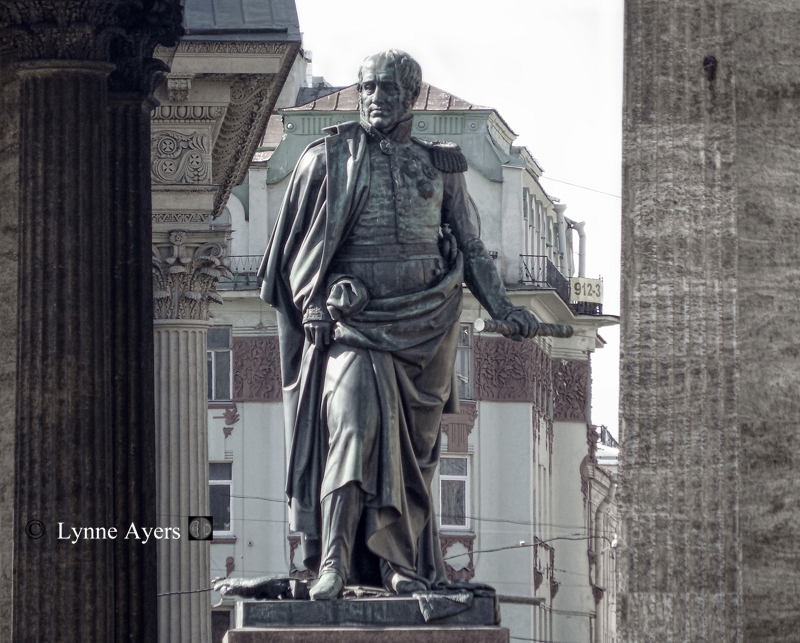 Statue of General Barclay de Tolley – 1761-1818 by the Kazan Cathedral in St. Petersburg, Russia. Please click on image for a better view. General Barclay de Tolley was a Russian Field Marshal and Minister of War during Napoleon’s invasion of Russia in 1812. A descendant of the Scottish Clan Barclay with roots in Towie, Aberdeenshire, De Tolley grew up in St. Petersburg, Russia. He entered the Imperial Russian Army at the age of six, and spent the rest of his life with the military.